My husband and I have a weekly date night. 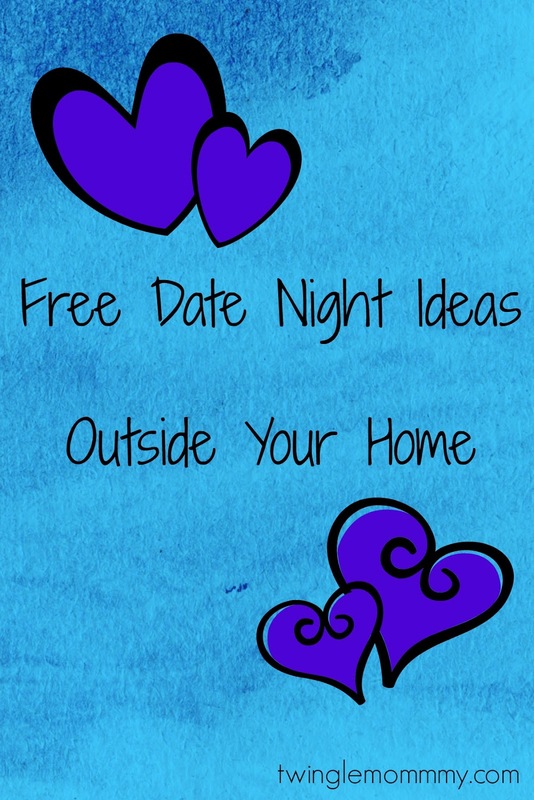 For the last four years we have done every date night at home idea you can imagine. We love our dates at home and we both really look forward to them. This year my kids all joined Awanas which gave us an unexpected date night every Wednesday. In the beginning we were drunk with freedom and spent far too much money on our dates. Since we were blowing our budget we thought of some inexpensive date nights that were under $10 to get back on track. Soon Awanas will take a break for the summer but Brett and I have really enjoyed our date nights out. Hiring a babysitter for three kids is not cheap so we needed to come up with some dates that are free and out of the house. I don't know about you but I have no interest in hiring a babysitter so I can go stargazing or explore a park. I want to do something different that's fun and free that makes hiring a babysitter worth the money. Here are a few ideas that hopefully will inspire you to go on a date soon. 1. Dance Class There are a few dance studios in my area and they all offer your first dance class for free. This is a great way to try out the class and see if you want to take lessons as a couple. Or in my case something great to use as a bet wager since my husband hates to dance! 2. Wine tasting - Most wine shops offer free tastings and some wineries offer free tastings as well. This is a great way to discover new wines and socialize with other adults. 3. Movie in the Park - Both cities I've lived in offer movie nights in the park from Spring to late Summer. Pack some movie snacks and grab some blankets and watch a movie under the stars. This is the perfect time to snuggle up with your spouse and have a romantic night out. 4. Concert in the park - Most cities offer concerts in the park for free. Most likely you haven't heard of the band, but it's still a fun evening. Bring a picnic dinner from home and you're all set. 5. Cooking Technique Classes - Many cooking store offer free demonstrations and classes. Williams and Sonoma offers a free cooking technique demonstration. 6. Art Gallery - Brett and I are not art lovers, but we do enjoy anything that is free and comes with wine. Which makes going to an art gallery a great option for a free date. Check their website for new exhibit openings when cheese and wine are typically served. Art galleries are also perfect for people watching which is our favorite part. 7. Check your city's visitor's page for events - The Raleigh area has tons of events that are free to the public. From social mixers to festivals, there is something going on every weekend here. Check it out and find something fun to do in your city. 8. Free Museum and Zoo Days - Most museums and zoos have a free entrance day once a year. It's a great way to spend the morning or evening. Whenever it's free admission days they are insanely crowded between lunch and dinner. Try to get there right when they open or after 6. Can you think of anything that you would like to add to the list? We find ourselves falling into the Netflix rut too. It's just so easy and you can wear jammies too. But it's good to get out once and a while. Great ideas. We're not huge art lovers either but love going to museums together. It just feels so date like. I really need to plan date nights too. It's so important but the last thing we leave time for.